When Google announced Android TV this week, the search giant was quick to note that Chromecast isn't going away. Android TV devices will actually have Chromecast support built-in, providing the same features as Google's $35 streaming dongle with no extra effort by developers. But that's not all. Google is also working on an Android TV feature called “Cast to Native,” which will build on Chromecast's bare-bones functionality. Although Google hasn't made a big deal about this feature, I was able to get some details while talking to people from the Chromecast and Android TV teams. One of the big criticisms of Chromecast—at least for some users—is that there's no traditional remote control or menu system to fall back on. This can cause headaches if you need to pause or rewind a video, but you're on the phone, or you left your device in another room. Sending videos to Chromecast from a phone or tablet also takes away the communal aspect of choosing something to watch from the big screen. Cast to Native aims to solve this problem by letting users switch between Chromecast controls and a more traditional remote (or game controller) and menu system. 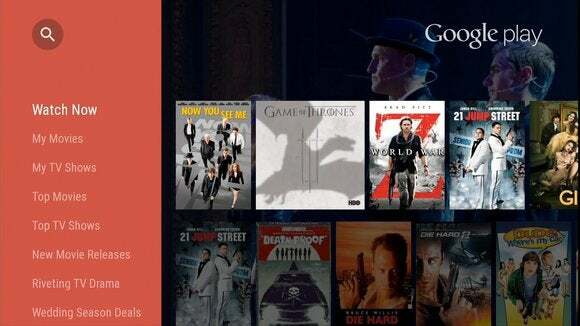 The idea is that you could launch a video on Android TV through Chromecast, then pick up a remote control and jump back into the native Android TV app with no interruptions. Cast to Native will be a feature of Android L, and will likely require some work by developers to implement. Also, it will only work for services that have built a native app for Android TV. While I haven't seen Cast to Native in action, it sounds like a logical way to combine Chromecast and Android TV into something greater.